We now know exactly when to expect the free games Microsoft has earmarked for Xbox Live Gold subscribers. First announced at E3, Microsoft's "Games With Gold" promotion offers periodic free game downloads to anyone with a valid Xbox Live Gold subscription. 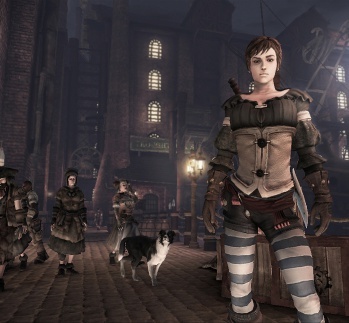 The first of these titles, Fable III is now available for download, and will remain free until June 30. If that title isn't your cup of tea, the good news is that Microsoft has just revealed the dates on which it will be releasing new, free titles. According to the official Games With Gold promotional website, new titles will appear on the 1st and 16th of each month. As with Fable III, each of these titles will only be available with the gratis price tag for a limited time, so it would probably behoove you to pay attention to which new games Microsoft periodically adds to its Games With Gold stable. On the other hand, if you don't have an Xbox Live Gold subscription, you may want to sign up for one now that the rewards are so much more substantial than the standard Xbox Live Gold features we've come to know and tolerate over the past half-decade. Microsoft has reserved a page on the Xbox website to promote this idea, and claims that an Xbox Live Gold subscription can be yours for just "$5 per month." That's true, more or less, if you buy a 1 year subscription at its standard $60 retail price, but since Amazon and other retailers run sales on Xbox Live Gold subscription cards with such regularity, you can probably join the service for far less money by simply shopping around. Now that all of the logistics of this promo have been detailed, we turn to you to ask what games you'd like to see Microsoft add to the Games With Gold initiative. I've got my fingers crossed for any entry in the Viva PiÃ±ata franchise, but then I've got a thing for sugary wildlife so that could just be me. Comments below. You know what to do.